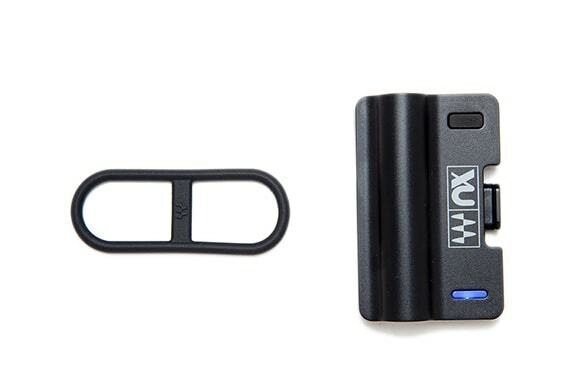 Also available as part of the 360° Ambisonics Tools combo for mixing and monitoring Ambisonics B-format. 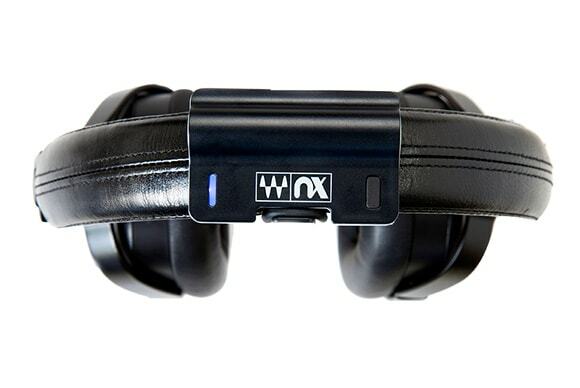 Turn your headphones into a mixing and tracking tool you can trust – use Nx to mix more reliably on headphones and monitor more accurately while recording. 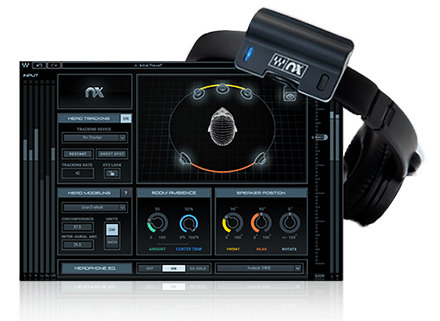 The Nx Virtual Mix Room plugin recreates the spatial acoustics of a professional mixing and recording room – right inside your headphones. 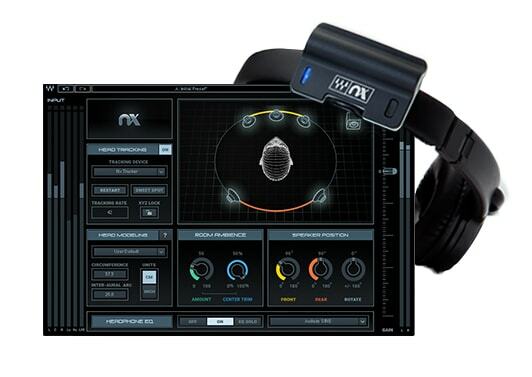 With Nx, you can make better stereo mixing decisions on headphones. You can also use your regular stereo headphones to mix surround sessions, as well as to monitor Ambisonics B-format audio for 360° videos and VR projects with professional sound quality. 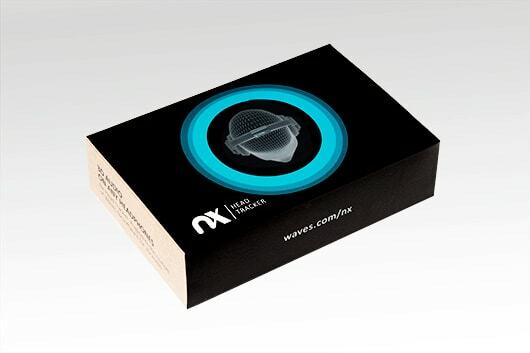 The Nx Head Tracker tracks your head movements with full precision – an essential part of the three-dimensional Nx audio experience. Mixing engineers – use Nx to get an accurate representation of how your headphone mixes will sound on speakers. Whether you’re away from your acoustically treated mix room, or simply don’t have one, you can now mix on headphones and consistently predict how your mixes will sound on other systems. 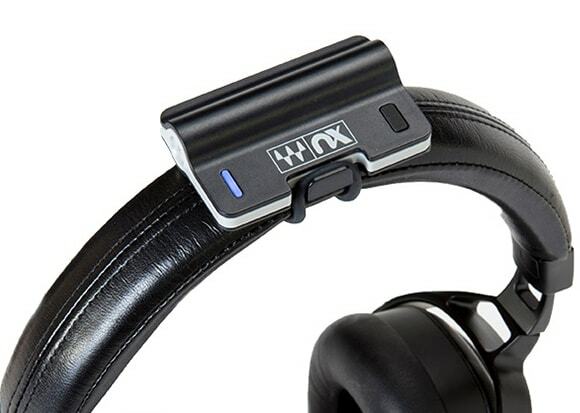 Recording engineers, vocalists and musicians – use Nx to get a natural “outside-your-head” sound on headphones that will speed up and improve the tracking process. 3D Audio on Headphones: How Does It Work? Learn why listening to three-dimensional sound in the real world and listening on headphones are two different experiences – and how you can bridge the gap.